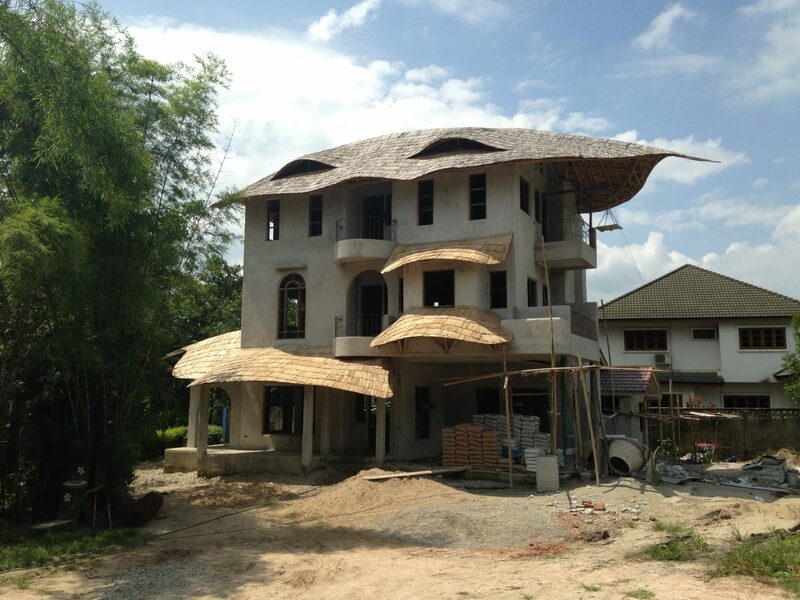 Ban Ploen is a boutique real estate development project close to the Chiang Mai Night Safari. 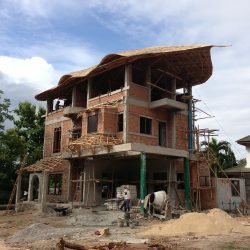 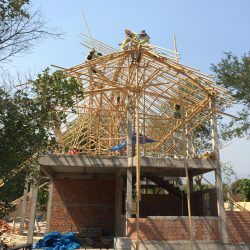 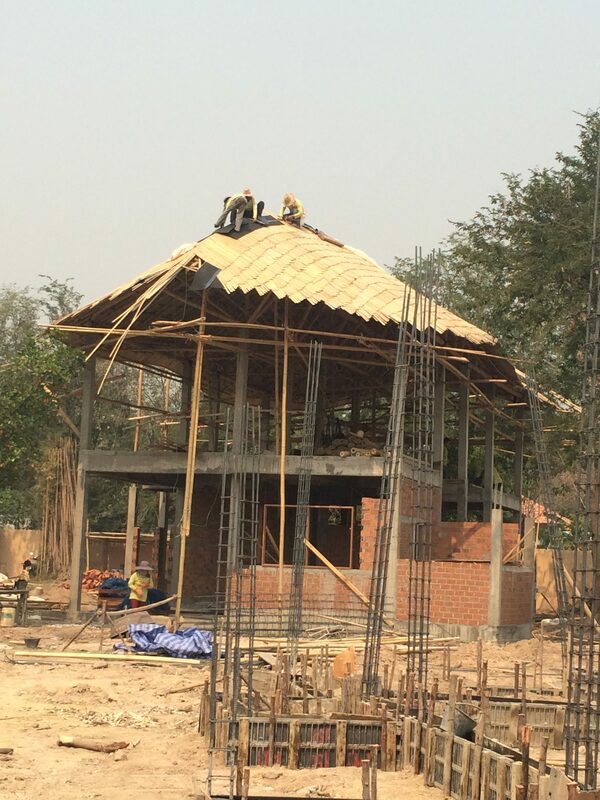 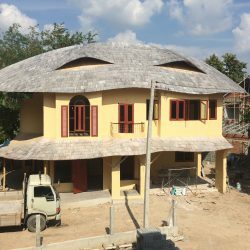 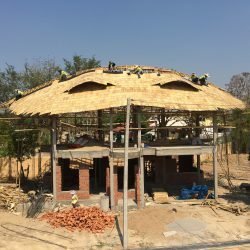 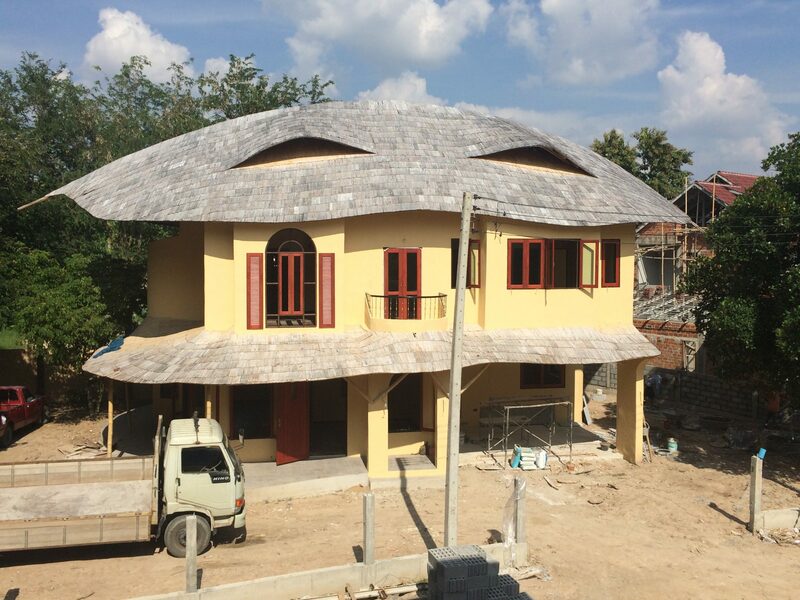 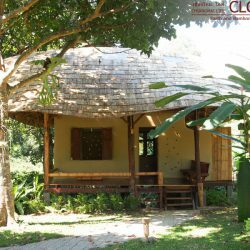 When Chiangmai Life Construction was approached to add Bamboo Roofs at Ban Ploen, it was already fully designed as a conventional 2-storey concept and in construction. 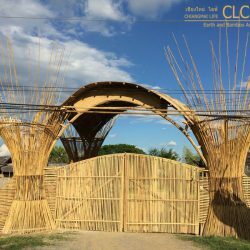 Chiangmai Life Construction was tasked with creating a more eye catching design and at the same time an environmentally friendly “green” image as this was to be the main differentiating marketing headline. 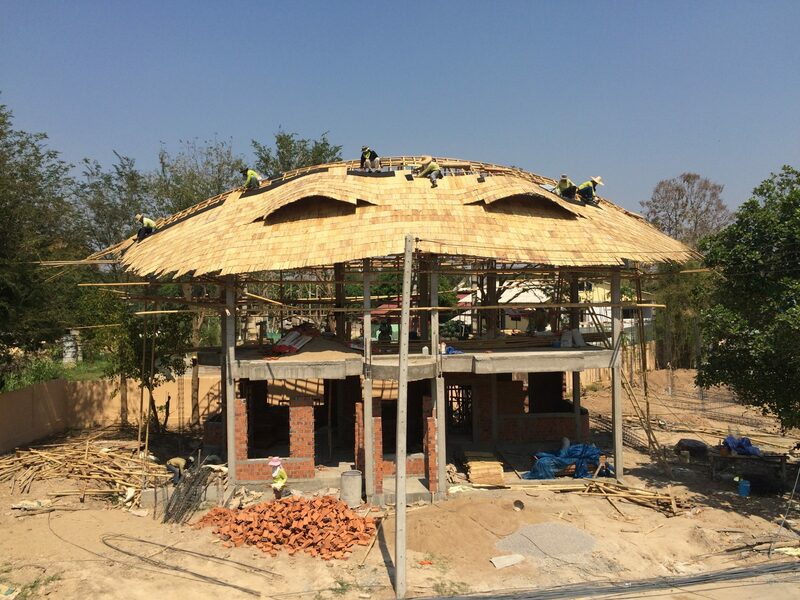 Chiangmai Life Architects focused on the bamboo roof to be the main architectural feature for visual differentiation from the many other real estate projects in the area. 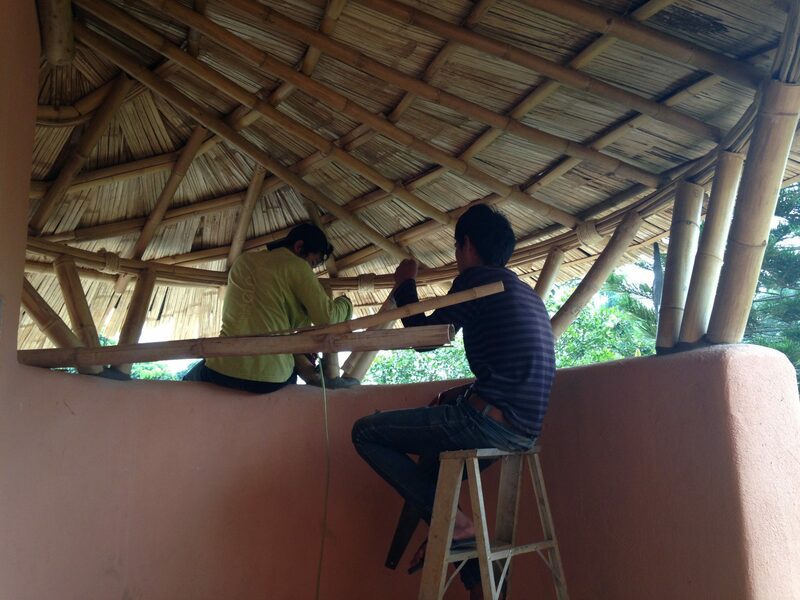 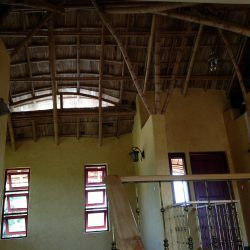 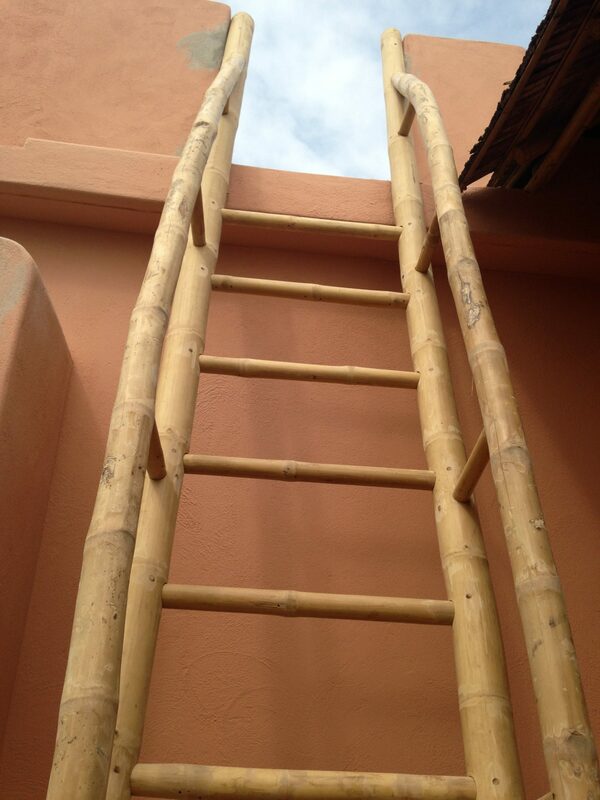 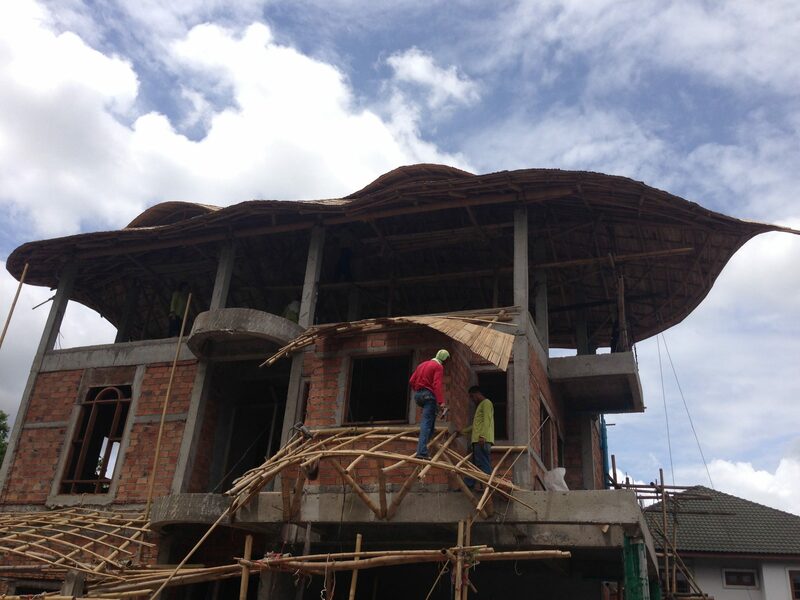 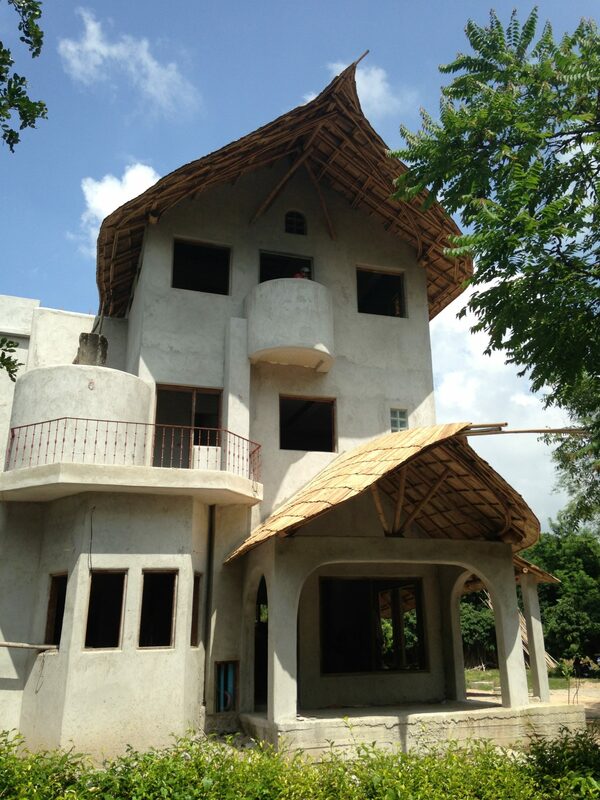 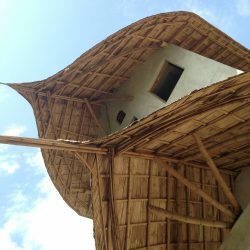 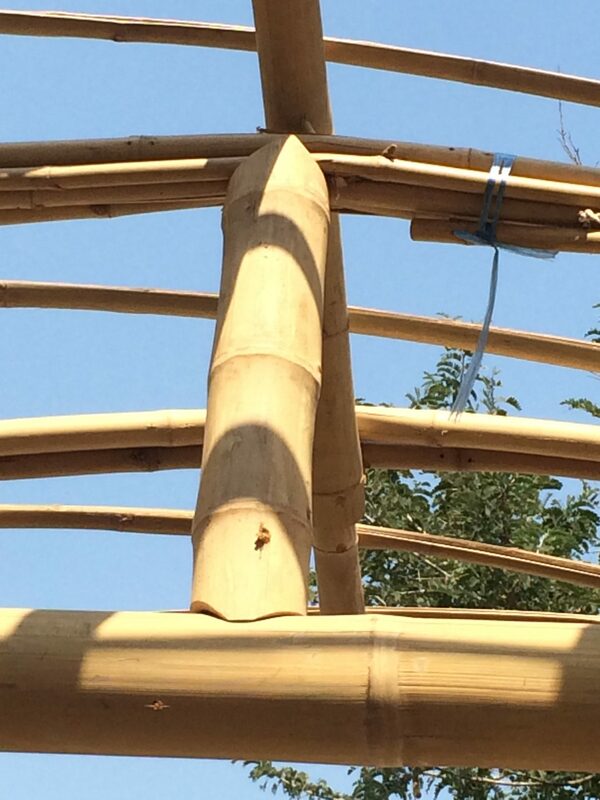 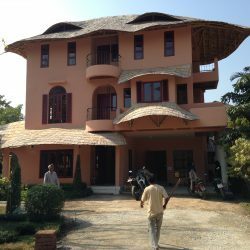 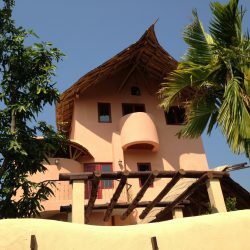 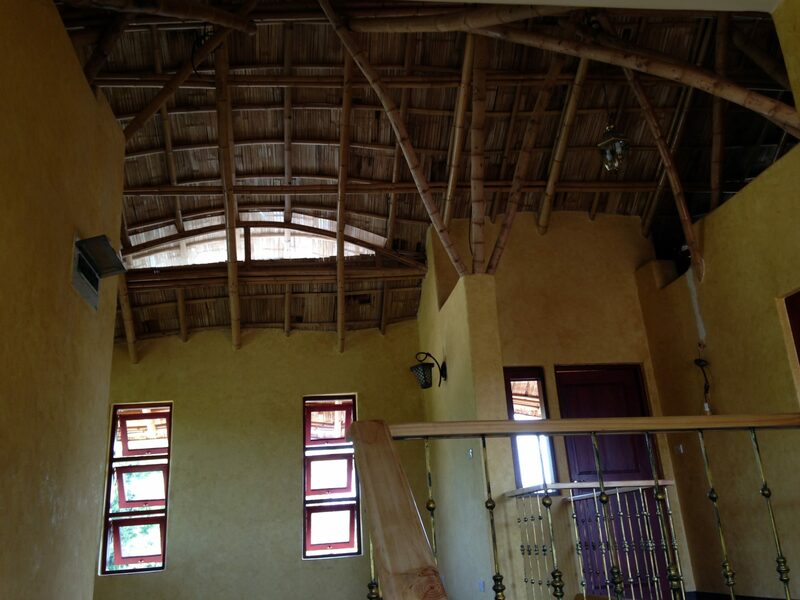 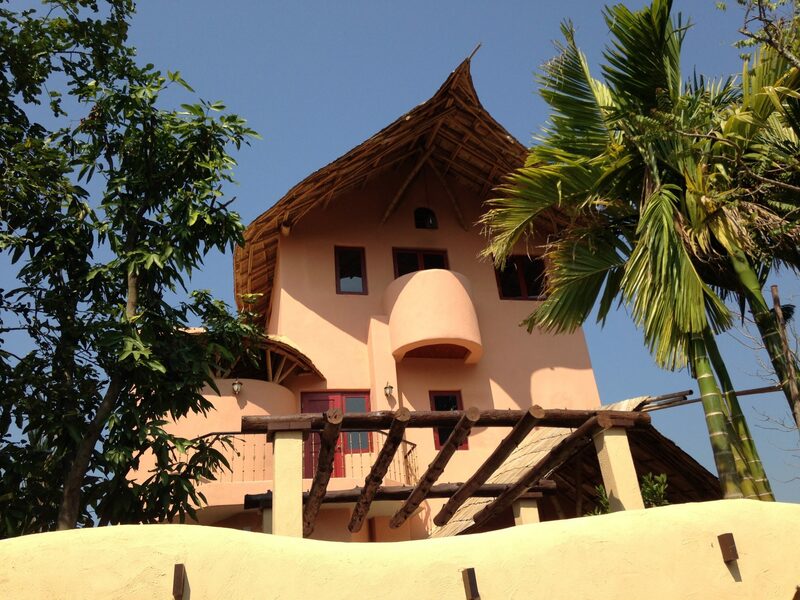 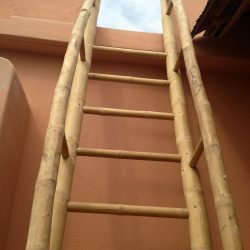 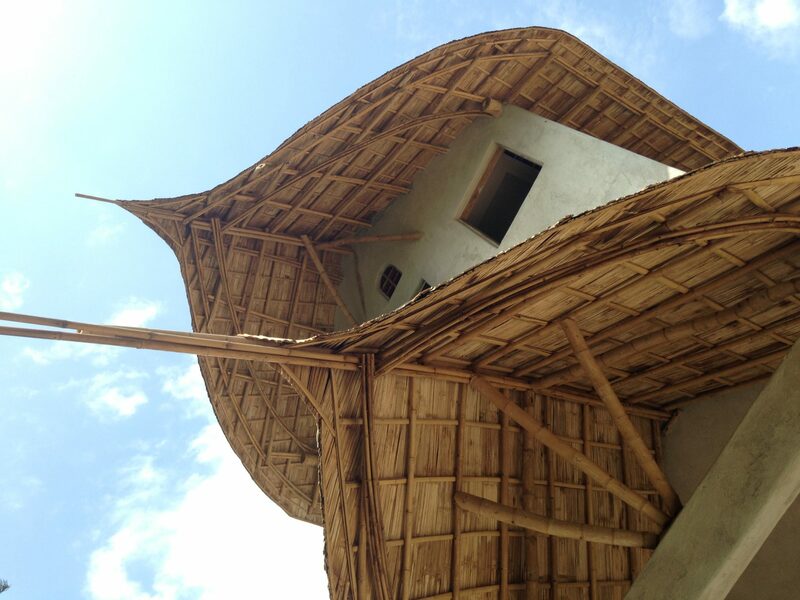 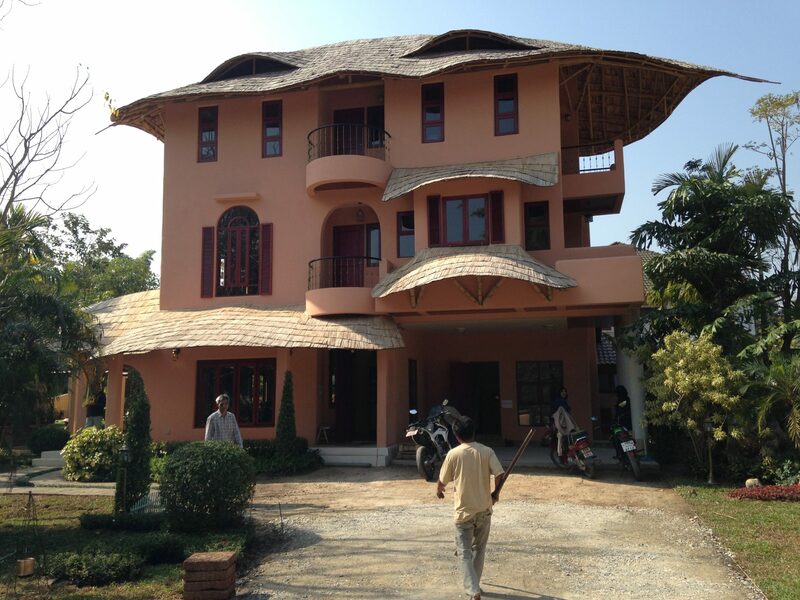 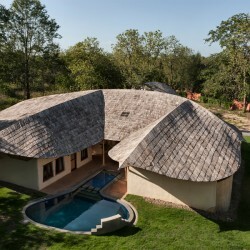 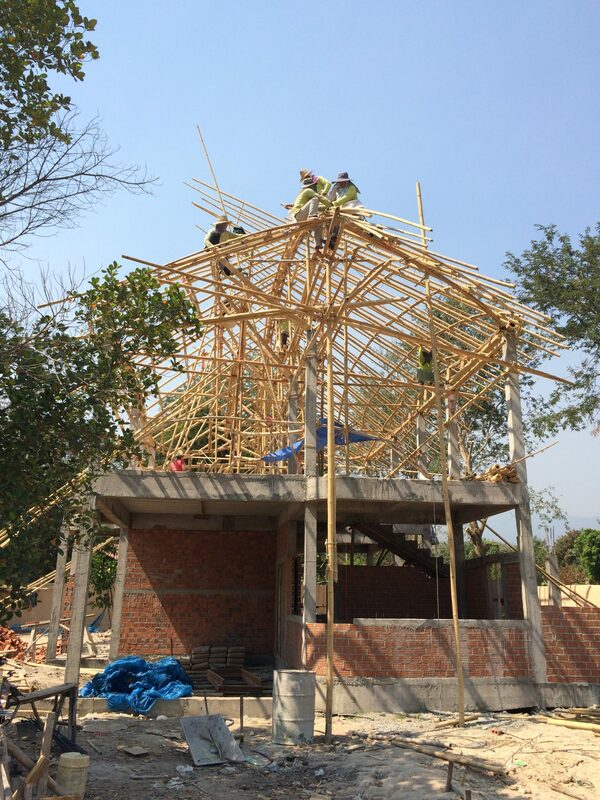 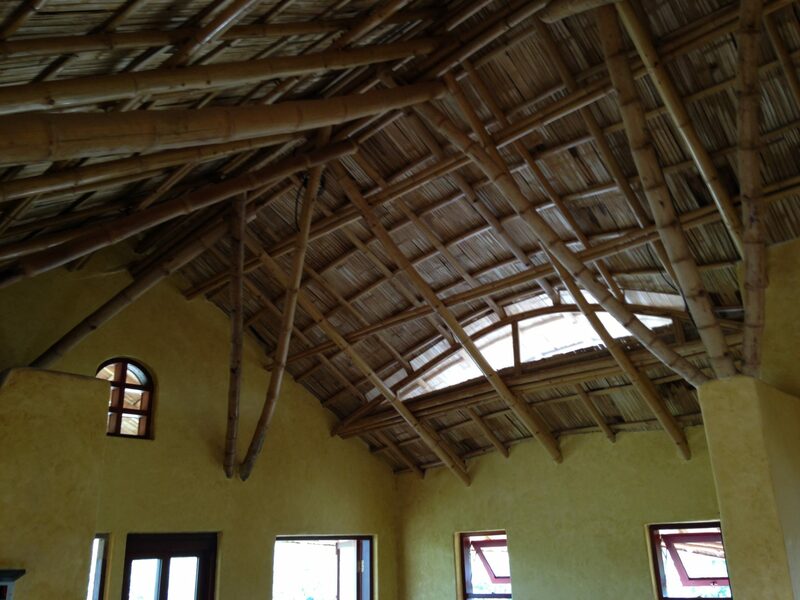 Functionality of keeping the upper floor cool was also an important issue which could be delivered by a bamboo roof. 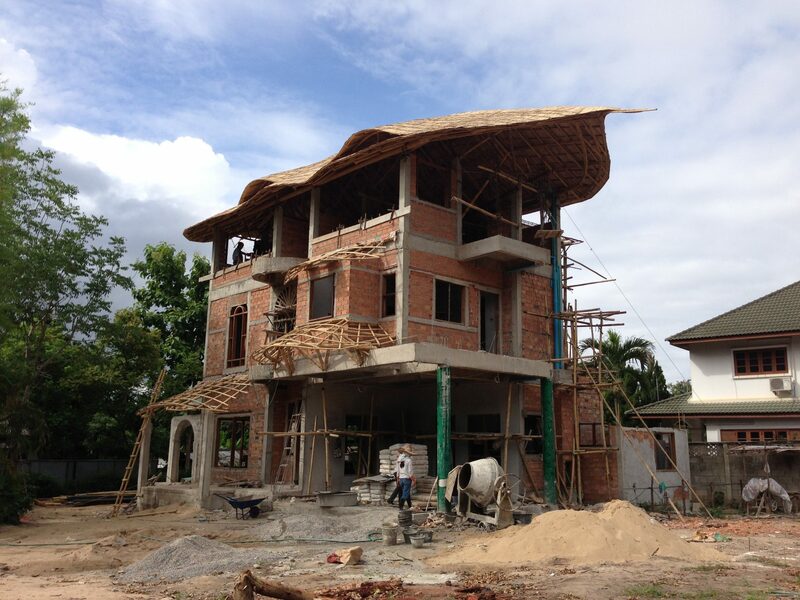 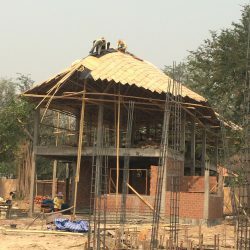 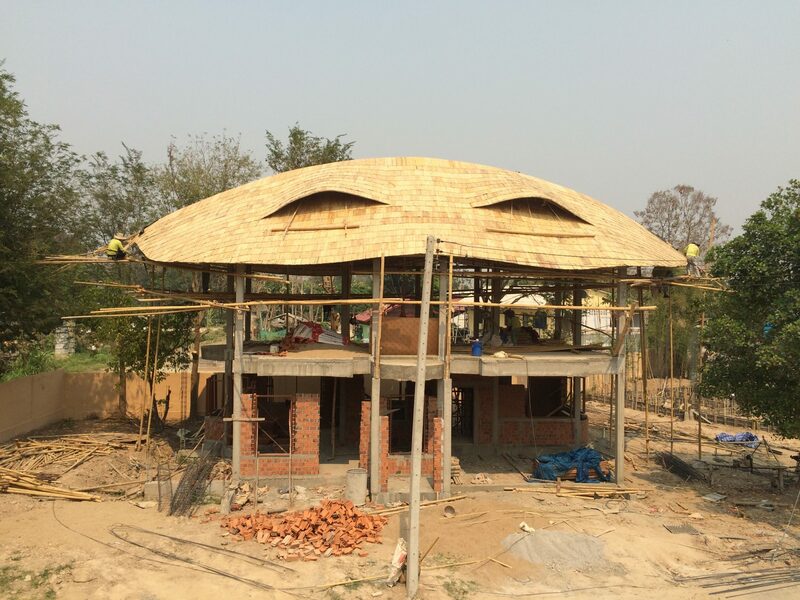 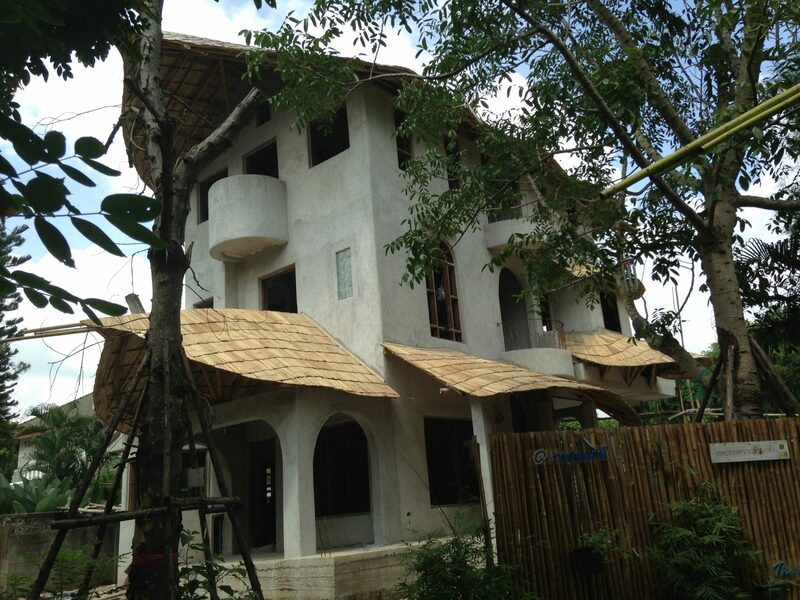 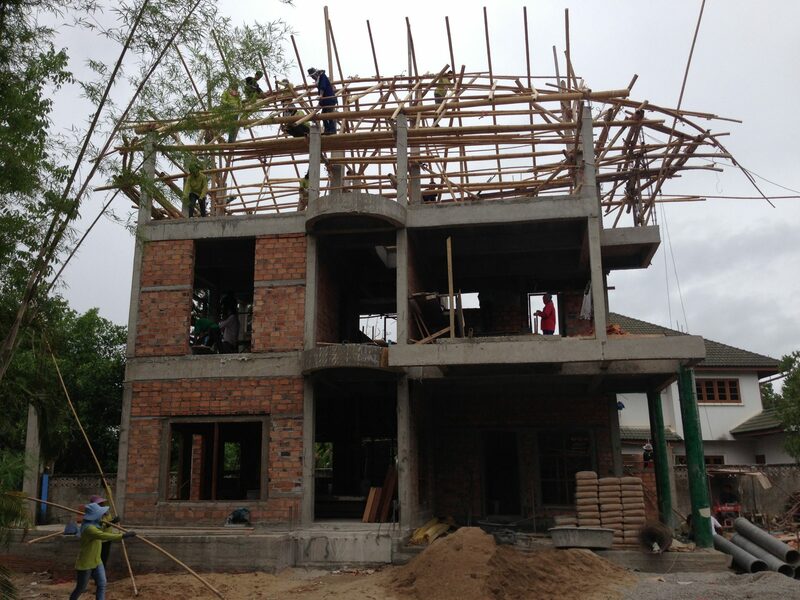 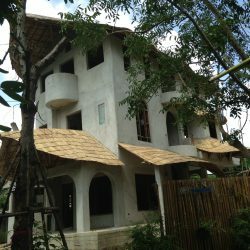 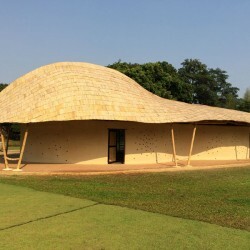 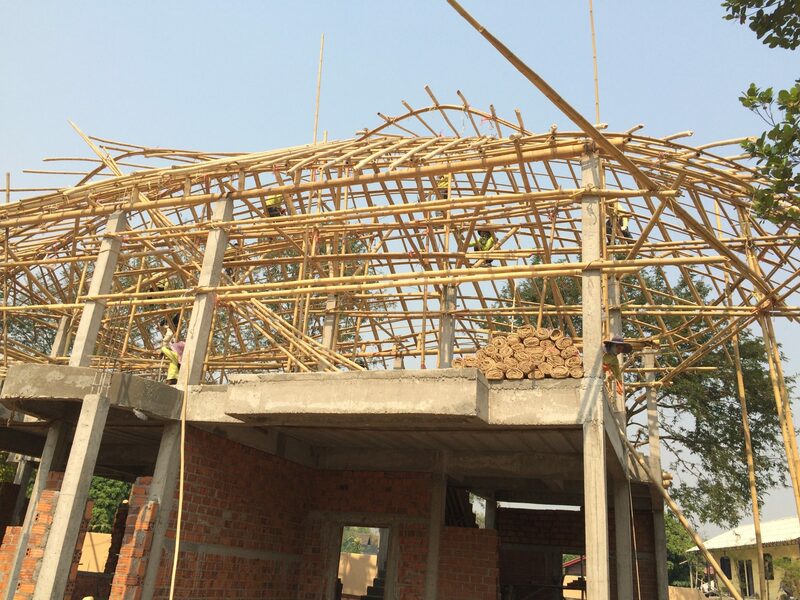 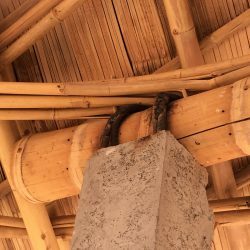 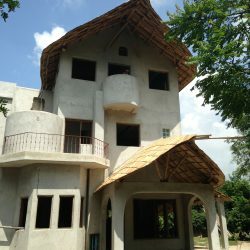 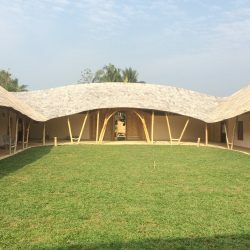 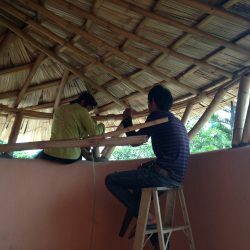 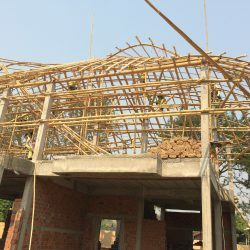 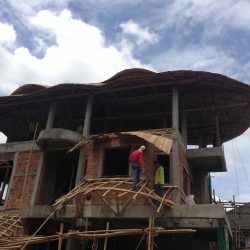 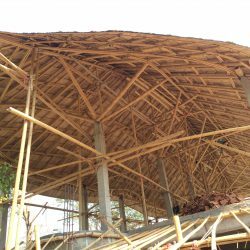 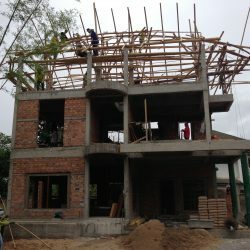 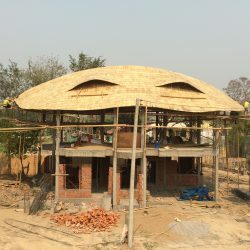 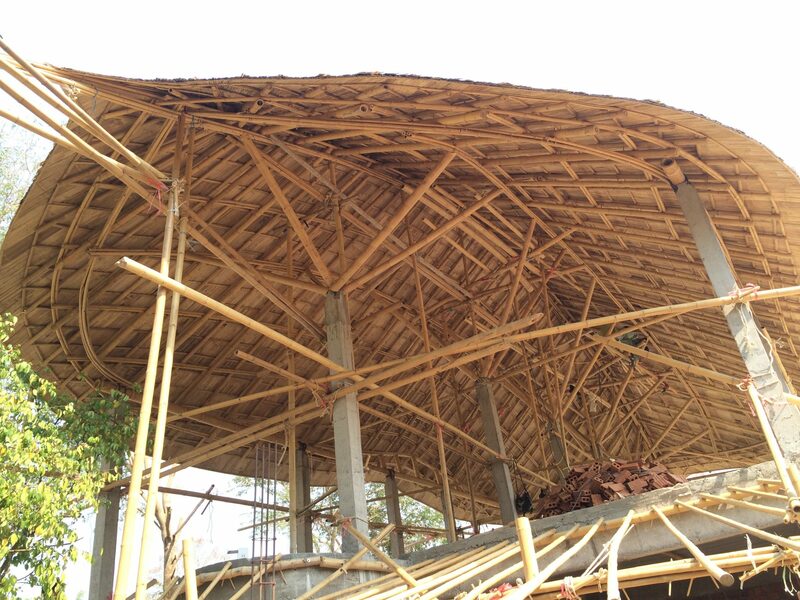 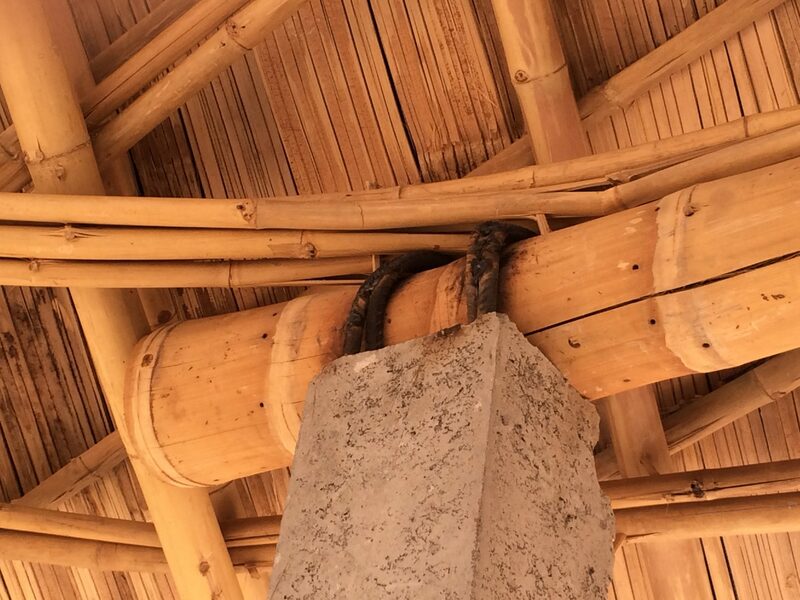 This is how the combination of a concrete building with a bamboo roof was created. 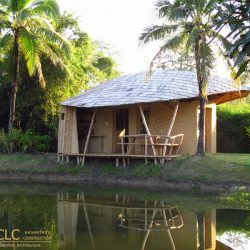 Two houses were chosen to receive the CLC upgrade. 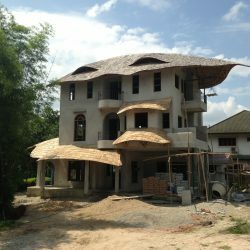 One with 3 storeys and another one with 2 floors. 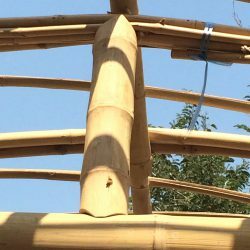 in order to integrate the bamboo design better into the overall design, all small roofs on different levels were changed to be bamboo. 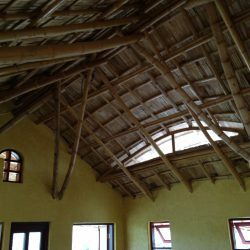 A natural free flowing design was chosen and created a Gaudi like construct.